Political turmoil, coupled with the tearing down of repressive ancien régime laws on press censorship, prompted a boom in satirical print publishing in Paris during the revolutionary summer of 1789. 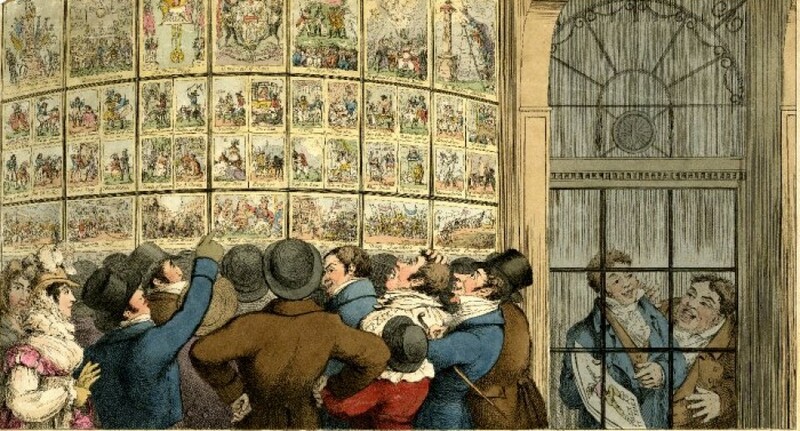 The French print market, which had hitherto been dominated by elaborate, classical-style, engravings of landscapes, historical subjects and genre scenes, was suddenly swamped by a flood of crude political caricatures that were shocking to the sensibilities of cultivated observers. When the educational reformer and publisher Joachim Heinrich Campe visited Paris as a revolutionary tourist in the summer of 1789, he noted that the walls of every building on the banks of the Seine were festooned with printed images concerning the Revolution . Whilst most of these images were designed to appeal to the baser sentiments of the Parisian mob, others were evidently targeted at the middling classes and members of the aristocracy (some of whom were still sympathetic to the early phase of revolutionary fervor.) 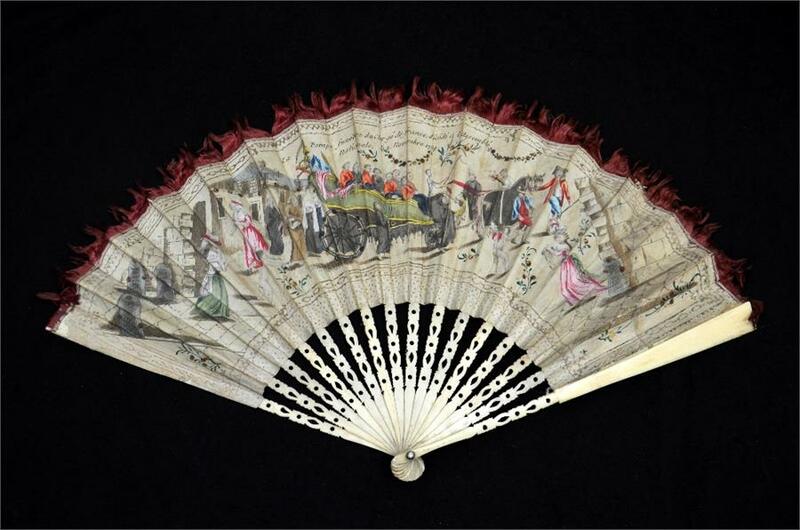 These images were often executed in the same careful manner as traditional ancien régime engravings and were presumably sold at a higher price and in much small numbers than the prints which Campe had observed littering the streets of Paris. 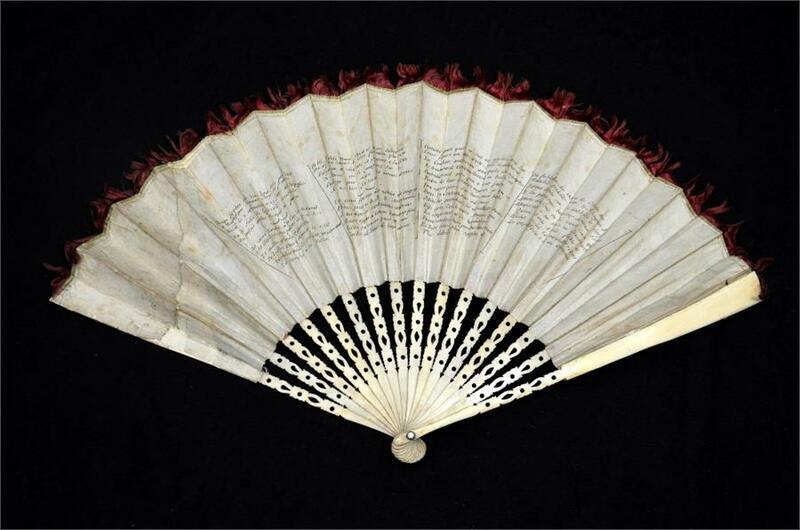 This printed fan-leaf is one such object. 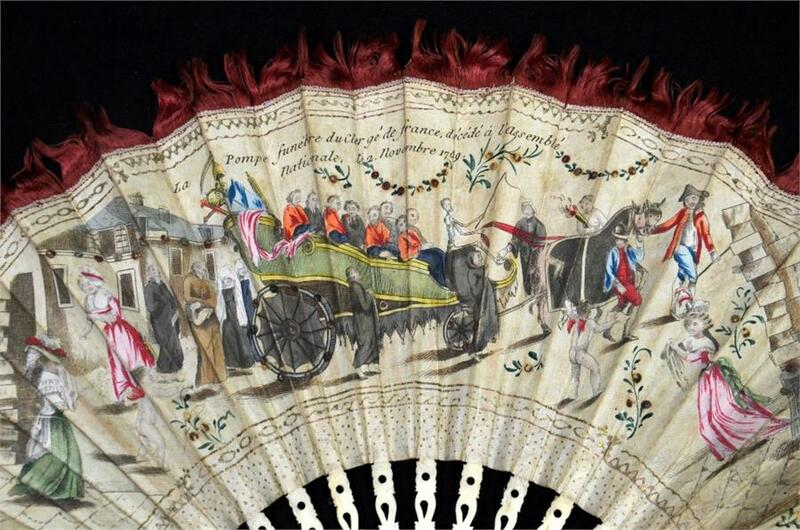 It is decorated with a satirical etching entitled La pompe funèbre du Clergé de France, décédé à l’Assemblée Nationale, le 2 novembre 1789 [The funeral pomp of the Clergy of France, died at the National Assembly, November 2, 1789], elements of which appear to have been copied from a contemporary engraving with aquatint. The image is an ironic scene of mourning, in which clergymen grieve for the loss of their wealth and privileges following the Revolutionary government’s decision to nationalise the property of the Catholic church. 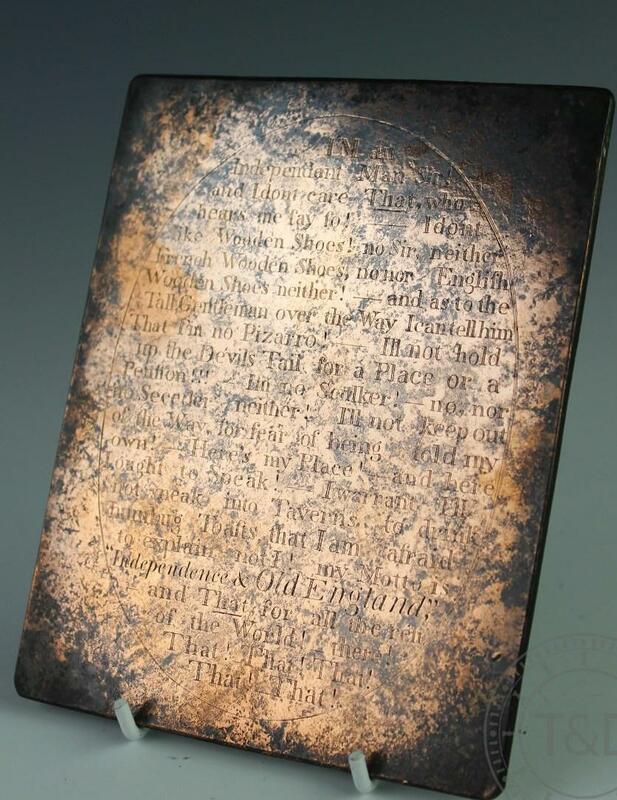 The liberation of the people from the burden of ecclesiastical taxes and the subordination of the church to the will of the state is celebrated in four columns of printed text on the rear of the leaf. The image does not appear to have been based on a real event. However, mock funerals were feature of both the French and American Revolutions, as well as Radical agitation in Great Britain. As one historian who has studied the phenomena of mock funerals in the context of the protests against British policy in colonial America explains, these ceremonies provided a means of translating political events into everyday life and “to transform a political conflict into a ritual defeat of evil.”. Hubertus Kohle, R.R., Visualizing the Revolution: Politics and the Pictorial Arts in Late Eighteenth-Century France, (London, 2008), pp. 37-38. 2. Fairfax Withington, A., Towards a More Perfect Union: Virtue and the Formation of American Republics, (Oxford, 1991), pp. 144 – 145.